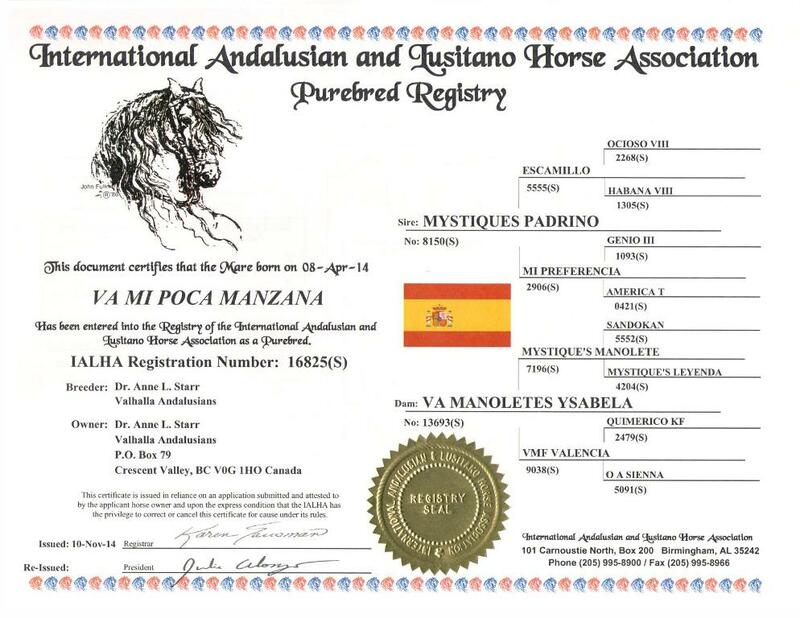 VA Manolete’s Ysabela and Mystique’s Padrino gave us a stunning filly: VA Mi Poca Manzana. 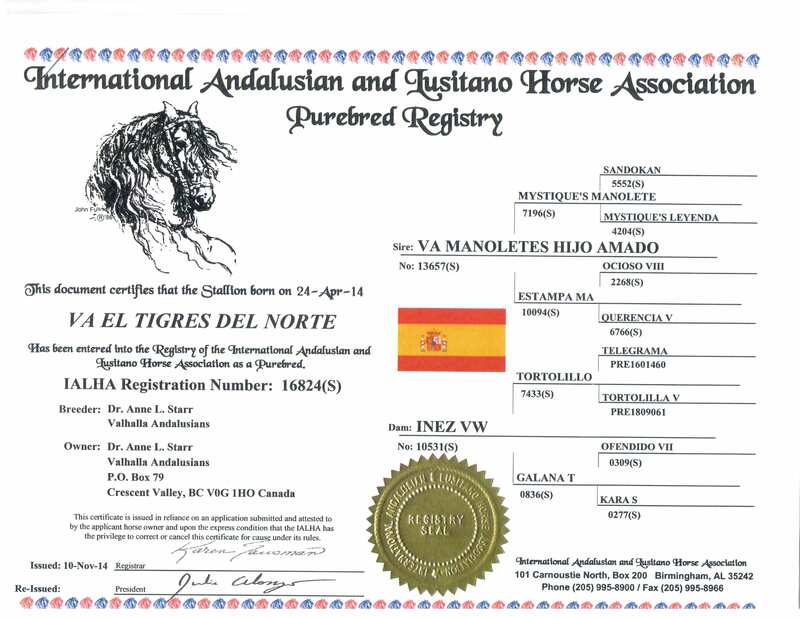 Manzana was the 2015 Canadian National Champion Andalusian/Lusitano Filly (1 year and under) and Gold Medal Movement Winner. Good job Manzana. SOLD Manzana has been sold to Jessica Berryman of Canton, Georgia. Congratulations on your purchase of this outstanding filly – let the love affair begin ! 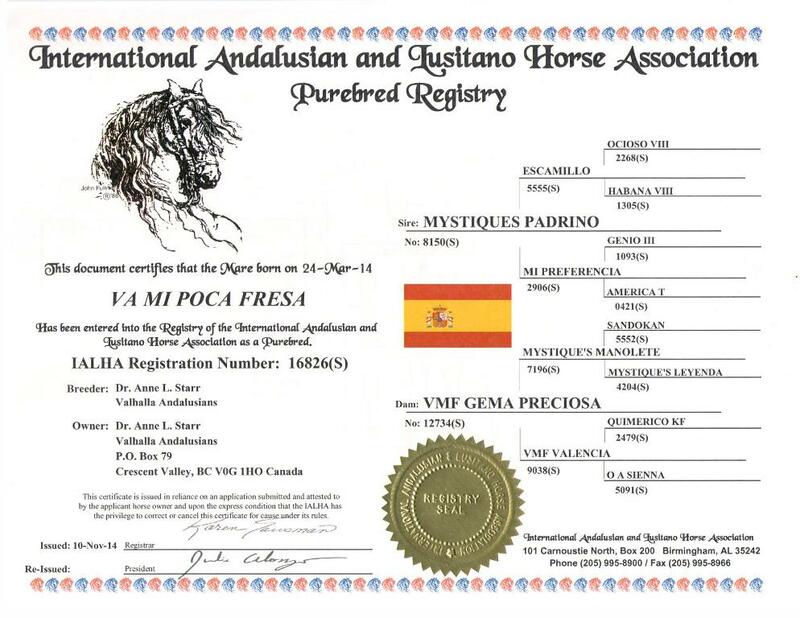 VMF Gema Preciosa and Mystique’s Padrino gave us beautiful filly: VA Mi Poca Fresa. 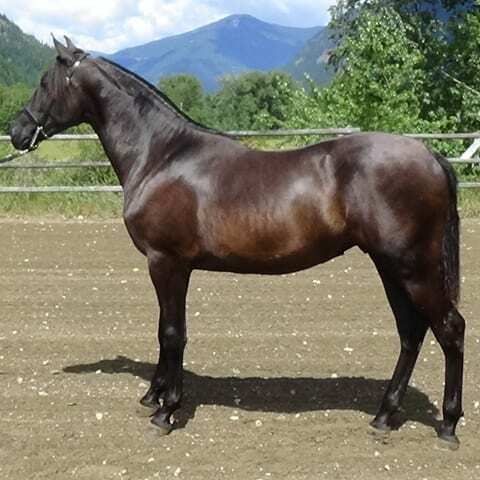 SOLD – Congratulations to Miguel Romero of Manson, Washington on his purchase of this gorgeous 2 year old Filly. 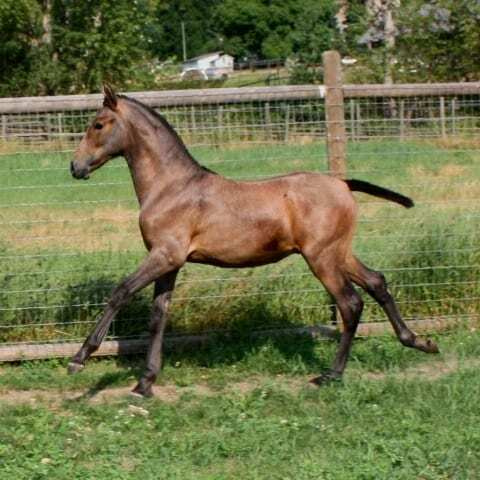 VMF Valencia and VA Manolete’s Hijo Amado gave us this stunning grey PRE colt who is a clone of his full brothers VA Alejo (2013 Canadian Supreme Halter Champion) and VA San Paulo (2015 Canadian Supreme Halter Champion). 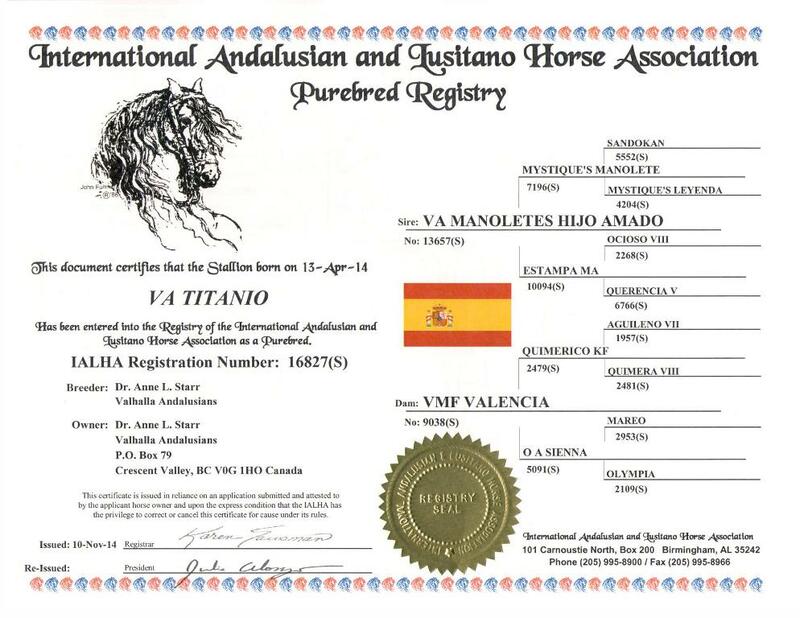 VA Titanio has beauty, temperament and incredible movement with huge show potential. SOLD – Congratulations to Miguel Romero of Manson, Washington on his purchase of this fine 2 year old colt. 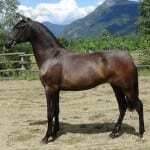 Inez VW and VA Manolete’s Hijo Amado gave us this beautiful grey Andalusian colt with movement to die for. We’ve called him: VA Tigres del Norte. Watch out for him in the show ring. 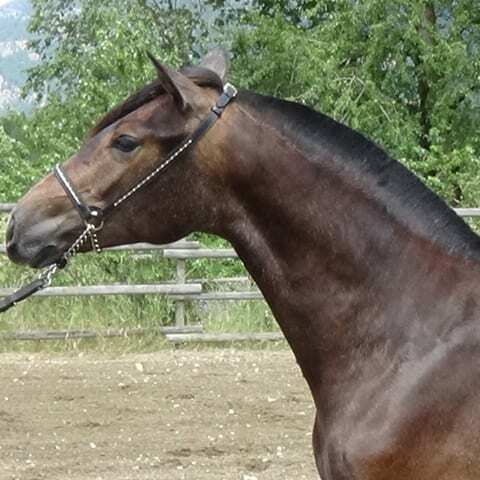 SOLD – Congratulations to trainer Sandy Lang on the purchase of her first Andalusian. What a great dynamic duo they will become.